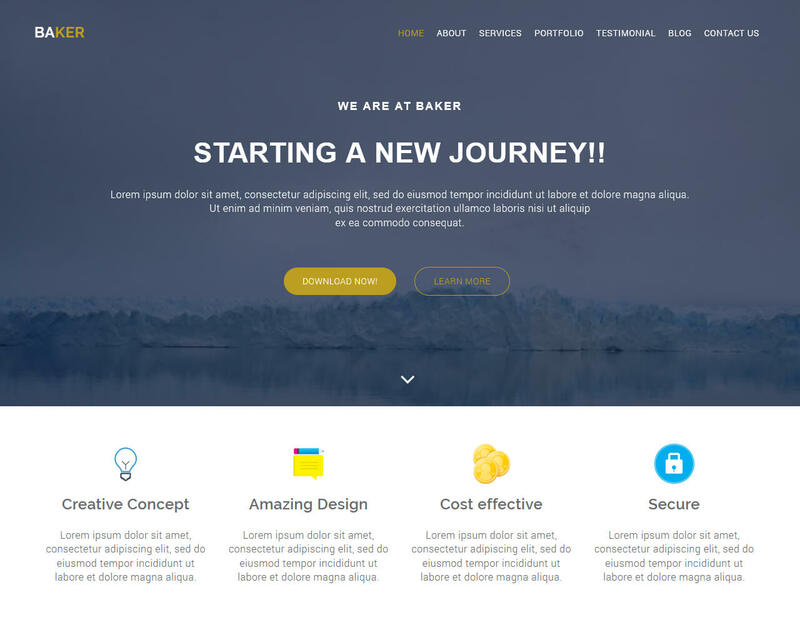 Baker is a creative, multipurpose free bootstrap html5 template designed for professionals and agencies. It can be used by any business, blog, corporate, portfolio, and any type of website. The theme has clean and professional design and the best solution for web designers. This one-page design can help you display your artworks and businesses in a creative, smooth, and minimal way. Users are happy to get all the information in one place. For professional or creative agency and want to build an impressive website to present your works, this template can help you. This template has easy-to-use powerful admin interface and a collection of modern home and inner pages. It includes a vertical split slider, banner, animation holder, full-screen sections, call to action, frame slider, expanded gallery, and countdown code. You can find the client’s carousel banner at the top of most websites that slides into several links and images.